Architectural reprography, the reproduction of architectural drawings, covers a variety of technologies, media, and supports typically used to make multiple copies of original technical drawings and related records created by architects, landscape architects, engineers, surveyors, mapmakers and other professionals in building and engineering trades. Digital blacklines have taken the place of “blueprints” making it a safer more sustainable solution. We have the skill, the equipment, and the capacity to turn your job around quickly and affordably. 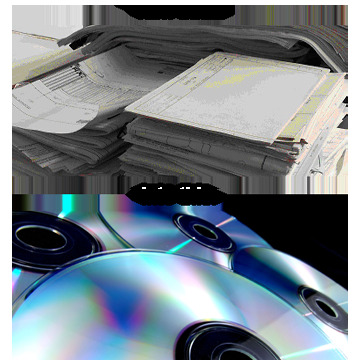 We can print directly from your hard copy or from the following file types. Which is best? We prefer PDF. Bring in your hard copy, cd or flash drive, email a digital file or upload your files to us. To learn more about our electronic document services, connect with us today. Need your prints enlarged or reduced to fit your needs? We're able to enlarge and reduce 25% to 400%.